Looking for the right cutting tool for your next craft project? Here are the top 10 craft cutting tools and what to use them for. 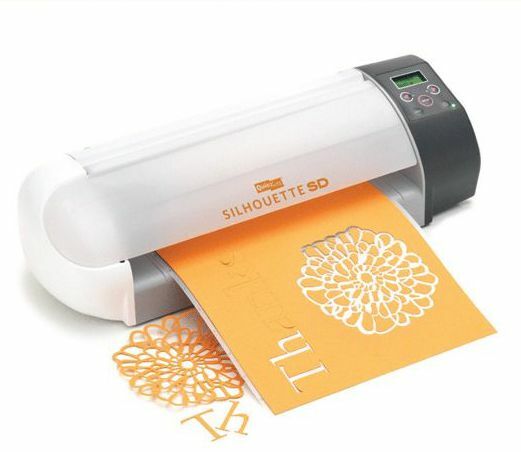 A number of different styles of cutting machine are available, including the Silhouette and Circuit, that allow you to cut out custom designs from paper, cardstock, vinyl, specialty paper, and fabrics. With these machines, you can either download pre-made cutting designs or make your own, then allow the machine to do all the intricate cutting for you. Familiar to anyone who ever worked in a traditional office where packages were wrapped and shipped, a guillotine paper cutter is also an indispensable tool for crafters. Place your sheet of paper beside the edge and press down to cut with the large blade. These paper cutters provide a flat base imprinted with a ruler grid so you can easily measure your paper and cut it to the correct size. As the large, heavy lever swings down, it severs the paper against the metal edge of the base. Witha good sharp blade properly adjusted, you can usually cut through several layers of paper at the same time. Some guillotine paper cutters allow the blade to be replaced, while others require the blade to be removed for resharpening. Like the guillotine paper cutter, the rotating paper cutter has a flat base with a ruler grid to measure paper before you cut. But rather than one large blade, this tool features a small rotating blade that is moved up and down to cut. Various replacement blades are available for rotating paper cutters, including scoring blades for scoring marks for folds on cards and similar materials. This tool works with a spinning blade that is similar to a pizza cutter, allowing you to make one long, fluid cut as you roll the tool along a marked path. A rotary cutter works well on fabric or paper but is not very suitable for intricate cuts. This tool consists of a small razor-sharp replaceable blade secured inside a pencil-shaped handle. The tool is often known by one of the most common trade names: X-Acto blade. It is used to cut out detailed patterns or designs. Used with a ruler, an X-Acto blade is a great way to cut a straight line. The narrow blade is also perfect for cutting intricate details, such as stencils. Similar to the X-Acto blade, craft knives can be also be used to cut a straight line with a ruler or for freehand cutting. The main difference between an X-Acto blade and a craft knife is that the blade on craft knife can be adjusted to allow you to cut through thicker materials. A craft knife is not quite as maneuverable as an X-Acto for intricate cuts. A flat mat similar to the base on the paper cutters, a cutting mat has a ruler grid to help easily measure paper. Cutting mats are used to help protect the surface you are cutting on and are designed to be used when cutting with a craft knife, X-Acto or rotating cutter. Cutting mats are self-healing—slices in the resilient surface will soon stick back together and seal themselves. A stamp punch is a tool used to cut out shapes in paper, such as hearts, butterfies, or wavy edges. You can use this tool to decorate papers for scrap booking, cards, or invitations. In addition to all-purpose scissors, all crafters should have at least one pair of very sharp scissors to use when cutting fabric or paper. Craft scissors are also available with a variety of specialty blades that cut out different patterns, such as zig zags or waves to decorate the edges of paper. This simple tool is simply a piece of fine, strong wire attached to two handles that is used to cut through modeling clay, or through modeling craft products such as plasticine. When the two handles are held taut, the wire on a clay wire cutter can easily slice through unhardened clay for very precise cuts.